Want It All? 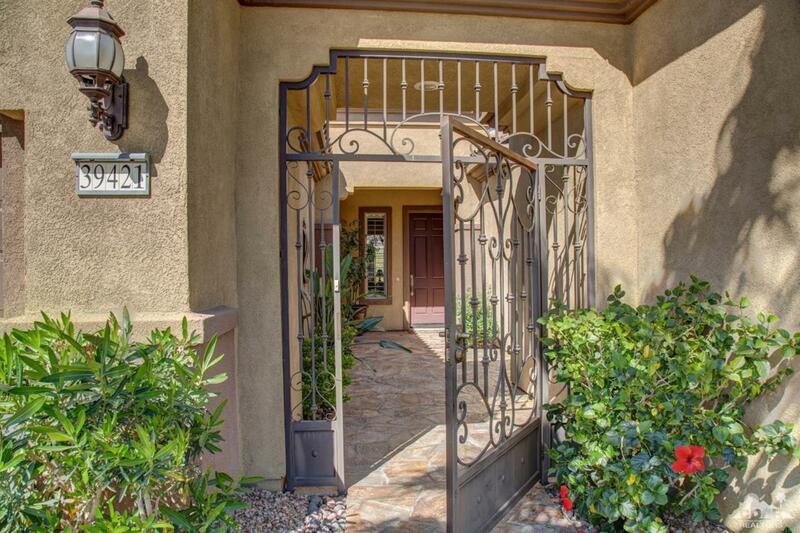 Here it is.Gorgeous GOLF COURSE Home with PANORAMIC VIEWS of course, lake, and mountains.The COURTYARD entry has beautiful gates and flagstone. 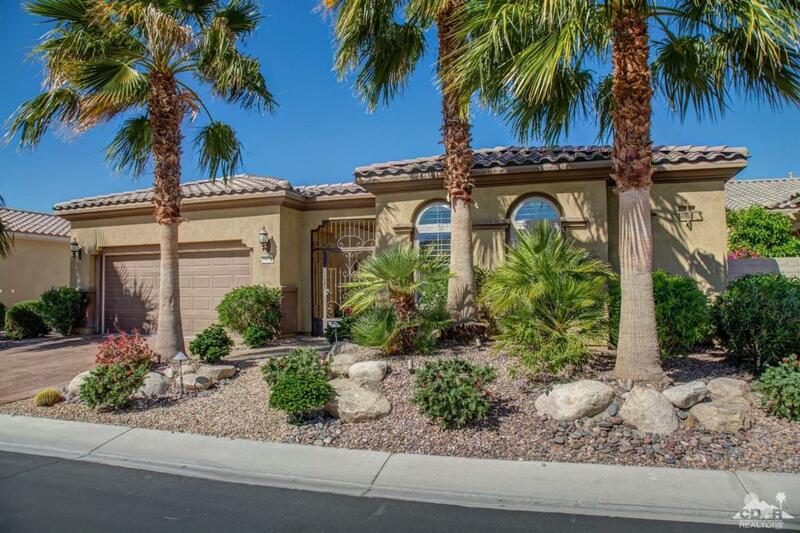 Home has 3 bd/3ba including DETACHED CASITA.The master is spacious with dual vanities, tub and shower, walk-in closet and views.There is an OFFICE/DEN and a second bedroom/bath in main house.The TILE living area has a wrap around ENTERTAINMENT BAR, DINING ROOM and GREAT ROOM all overlooking golf course. 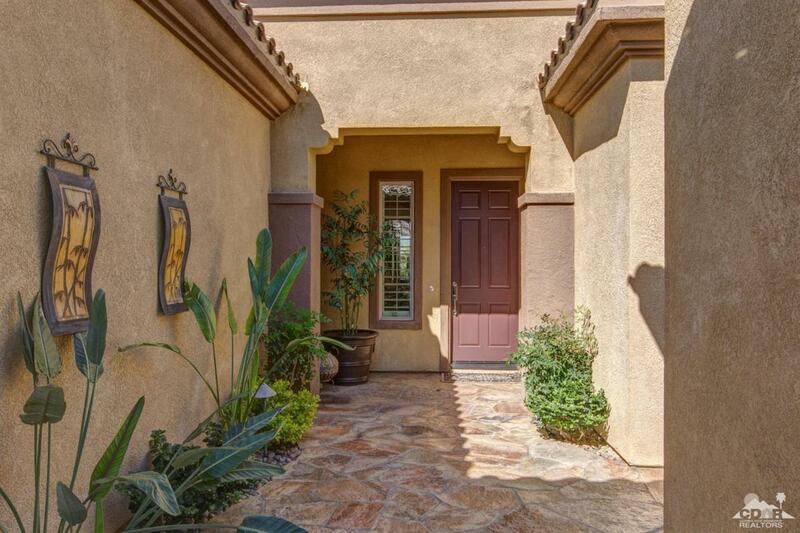 The newly added Casita is a lovely GUEST SUITE with TV and breakfast bar in closet and ultimate privacy. Many upgrades including window coverings, fans lighting fixtures designer paint and all that custom furniture. The backyard is truly an oasis with stone and rock surfaces, built-in custom barbecue, different seating areas-one with a FIREPIT and a fabulous WATER FEATURE with multiple falls, all with magnificent views from this premium lot. The garage has EPOXY floors, storage CABINETS and evaporative COOLER. Everything LIKE NEW! Listing provided courtesy of Sherri Sacks of Homesmart Professionals.